More than 25 million Americans have diabetes, which interferes with the body’s ability to use and store sugar. People with diabetes have too much sugar in the blood, which can affect many areas of the body, including the eyes. Diabetics have an elevated risk of developing certain eye diseases, particularly cataracts, glaucoma and retinal problems. However, keeping diabetes under control and being diligent about preventive eye care can delay or prevent diabetic eye disease. Annual eye examinations are a critical component of preventive eye care. The talented, board-certified ophthalmologists at Northern Ophthalmic Associates are well trained in diabetic eye care, as well as the causes and symptoms of diabetic retinopathy. To learn more about the steps you can take to reduce the chances of developing eye disease, schedule a consultation at any of our four Philadelphia eye care centers today. 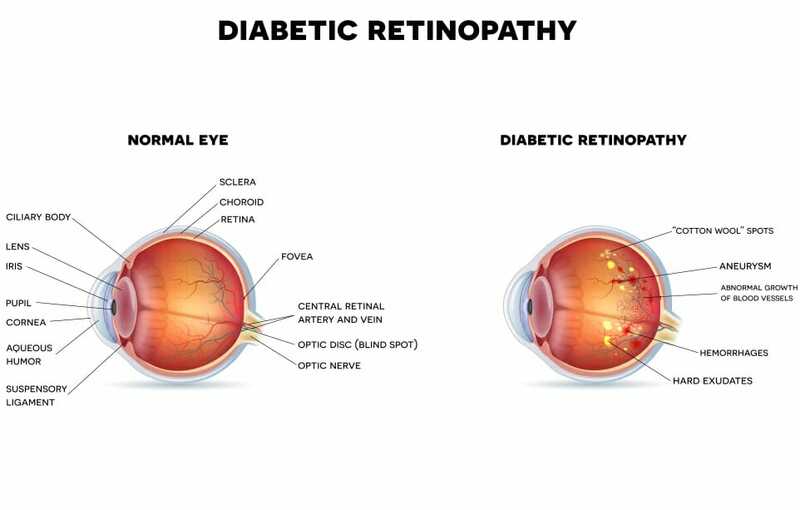 The longer a person has diabetes, the higher the chances they will develop diabetic retinopathy, which is characterized by damage to the retina, or the layer of light-sensitive cells lining the back of the eye. Uncontrolled blood sugar levels can damage the tiny blood vessels in the retina, causing them to swell and leak blood and fluid. In some cases of diabetic retinopathy, abnormal new blood vessels grow in the retina. Diabetic retinopathy can cause impaired vision, especially at night, as well as the appearance of spots or floaters. One of the complications of diabetic retinopathy is macular edema. This occurs when the damaged blood vessels in the retina leak fluid into the macula, or the portion of the retina responsible for clear central vision. As the fluid leaks and accumulates in the macula, it swells and causes blurry and distorted vision. Treatment for diabetic retinopathy is intended to slow or stop the progression of the condition and will depend on the type and severity of diabetic retinopathy that the patient is exhibiting. Controlling blood sugar and blood pressure is key in managing diabetic retinopathy. Some patients will notice an improvement in vision when their blood sugar is under control. Another option is to inject steroids or anti-VEGF medications into the eye to reduce swelling. Anti-VEGF drugs prevent the growth of new, abnormal blood vessels. If those methods don’t work, laser photocoagulation can be performed to seal off the leaking blood vessels and reduce swelling. Or, laser surgery can shrink the blood vessels and prevent future growth. Several laser treatments may be needed to see progress. Advanced cases of diabetic retinopathy may require a procedure called vitrectomy, in which the ophthalmologist removes the eye’s vitreous gel, blood from the leaking blood vessels and scar tissue. In the most advanced form of diabetic retinopathy, scar tissue forms on the retina, causing it to detach from the back wall of the eye. Retinal detachment is very serious and requires immediate intervention to prevent permanent vision loss. The retina can be reattached to the back wall of the eye using laser treatment, a tiny synthetic band or a gas bubble. Not everyone with diabetes loses vision. There are ways to minimize the risk of diabetic eye disease and preserve vision. 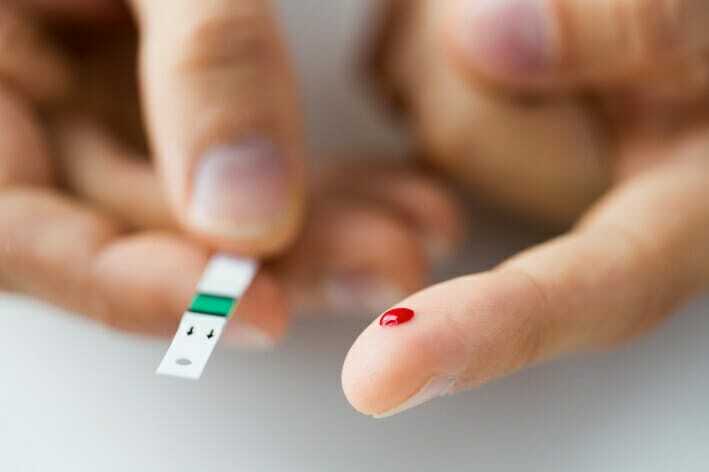 It is essential to control diabetes by monitoring blood sugar. Diabetic patients must take medication as prescribed and visit their primary care physician regularly. They also need to pay attention to their lifestyle habits — they should avoid smoking, follow a well-balanced diet and stay physically active. Another important part of preventing vision loss due to diabetic eye disease is to have regular eye exams with an ophthalmologist. Many times, the early stages of diabetic retinopathy do not cause any visual symptoms, and can only be detected by a doctor during an examination. Problems caught in their early stages are more easily treatable. For more information about diabetic eye care, contact Northern Ophthalmic Associates by phone or email.